With its shiny new thoroughbred on the horizon, Nintendo has no plans to put its old workhorse out to pasture just yet. Nintendo's new glasses-less 3D-capable handheld is slated to hit shelves worldwide next spring, and when it does the gaming giant will be supporting three different platforms all at once. Given the circumstances, you could hardly blame Nintendo for planning on ditching its old handheld for something that does everything the DS can do but better, right? Curiously, the Big N has no plans to do just that - or at least, big boss Satoru Iwata says it doesn't. In a recent financial results briefing, the Nintendo head honcho said that while the six-year-old DS had hit a sales plateau, Nintendo wasn't leaving it in the dust. Nintendo would gradually transition to the 3DS, said Iwata, but it wouldn't happen all at once. 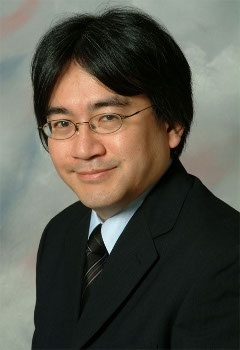 "We have experienced several transitions from one platform to a new generation in the past, but the speed at which such transitions were made greatly varied in different markets," said Iwata, going on to say that places like Japan and the UK were very quick to adopt new technology, other markets - like Germany - were slower on the uptake. The US, on the other hand, was simply too big a market to fall heavily either way. "In the U.S., so many people respond to new platforms quickly, but as for the entire video game market there, it appears to move rather slowly because there are also so many people who respond to new offers very slowly ... the U.S. is a big market with such dual natures," he said. "Given the difference in the speeds at which each market shifts to a new platform," Iwata elaborated, "how Nintendo should spend what amount of energy in order to launch and market many new Nintendo DS software titles must be slightly different from market to market." Given that the Nintendo DS can only be called a smashing success - the second-most popular videogame console in history behind the PlayStation 2 alone - Iwata said that it only made sense for Nintendo to cater to some of the current DS owners around the world. Even so, the future for Nintendo is the 3DS, and he realizes that the new platform should be the company's focus from here on out. "[If we] should use too many of our development resources in order to maintain the Nintendo DS market, we would not be able to realize a sound launch for Nintendo 3DS," especially given the just-after-holiday release date. The 3DS is slated to launch in Japan in late February 2011 at a price tag of Â¥25,000. It is expected to reach the West in March, though Nintendo has not yet announced a price in non-Japanese markets. To be fair, Nintendo also said that the DS wouldn't be the replacement for the Game Boy Advance, and we all know what happened there, don't we?